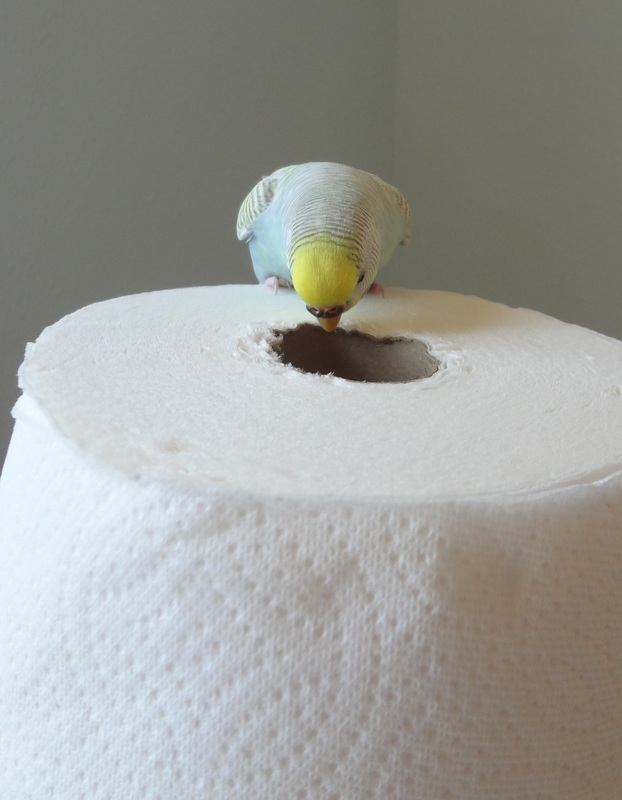 It’s A Paper Towel Party! 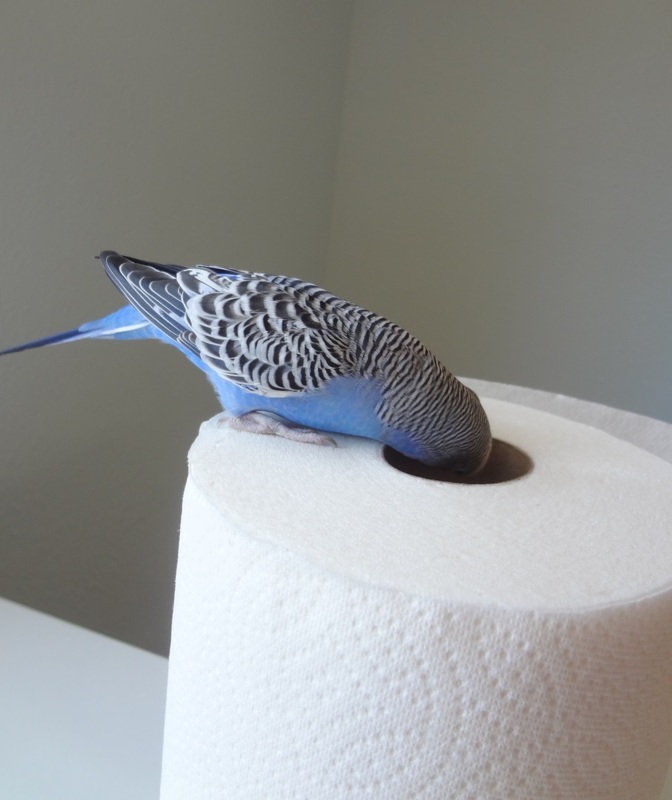 Posted on July 18, 2013 by Michelle M.
The budgies were all about the paper towels today. 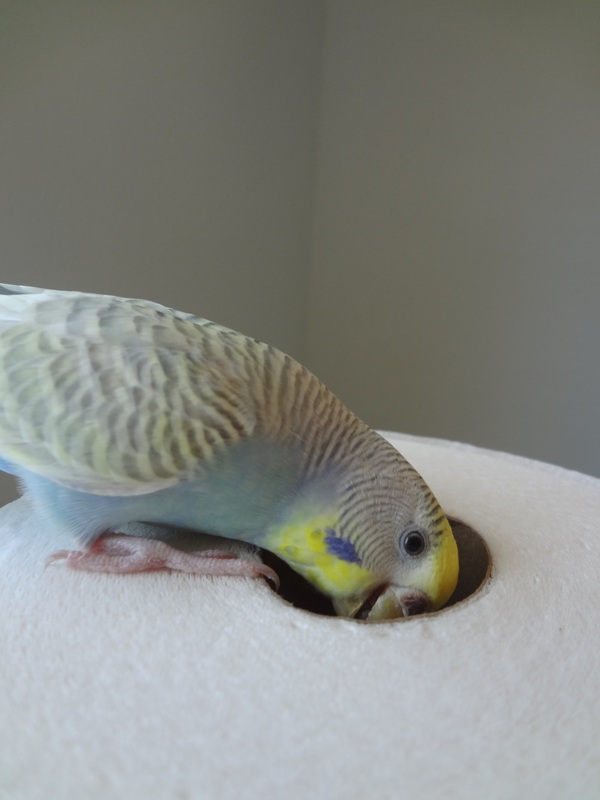 Of course, Cooper was the first to investigate. A rare picture of Sunny and Cooper together (before Sunny chased her off). Dewey patiently waited his turn. Ozzie seeing what all the fuss is about. I could not keep Sunny away from the towels. She was fascinated by them. 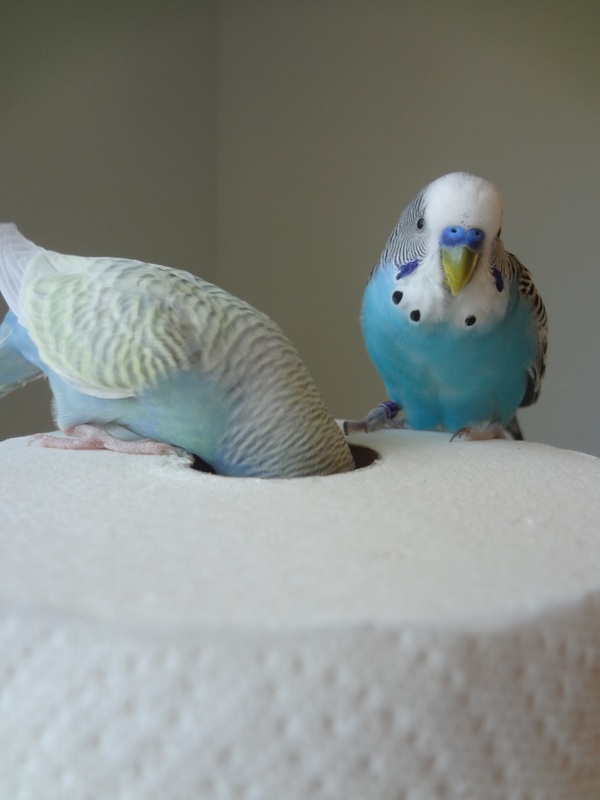 What is down there anyway? 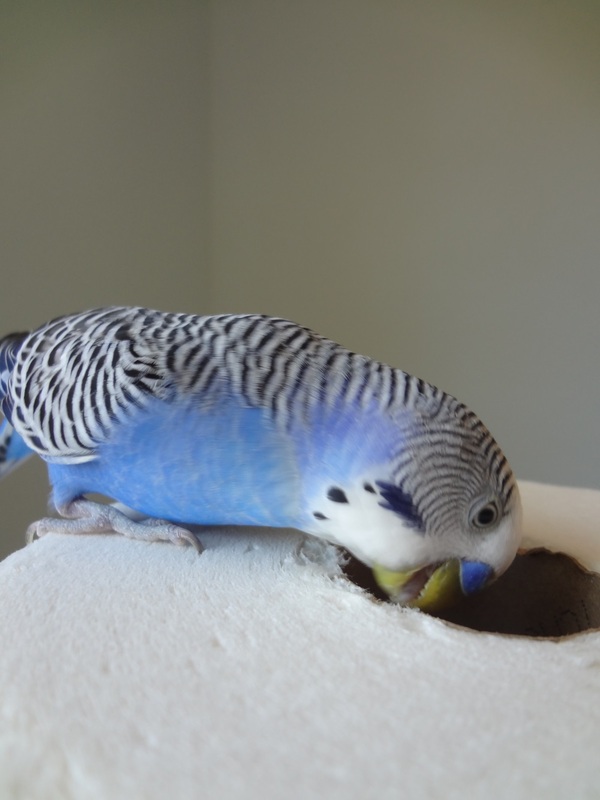 Nibbling on the edge was lots of fun, too. 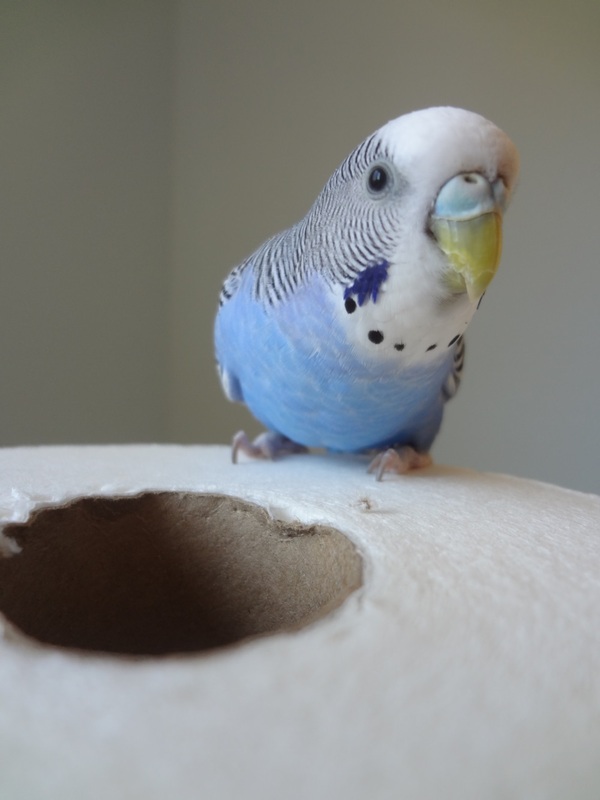 This entry was posted in The flock and tagged budgie, Cooper, Dewey, Ozzie, paper towels, parakeet, silly budgies, Sunny by Michelle M.. Bookmark the permalink. 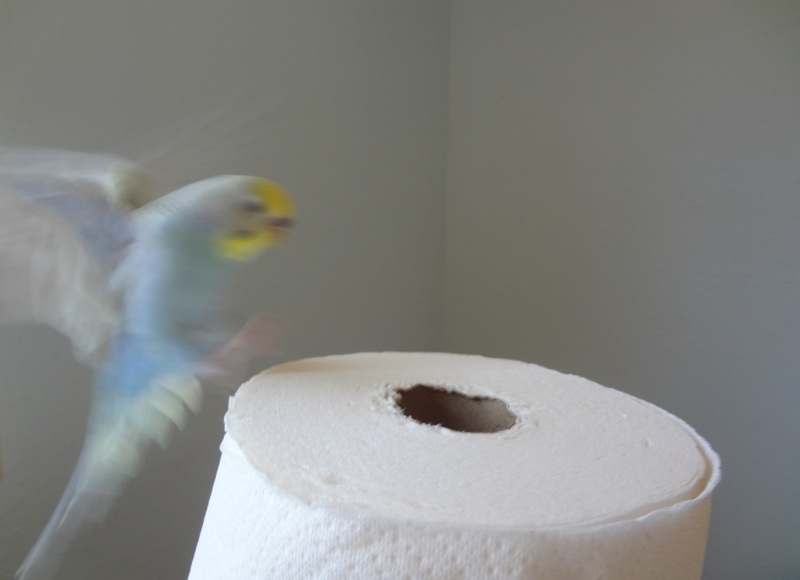 I gave Miss Kauai a toilet paper roll once and she kept going in halfway then coming out again and again. 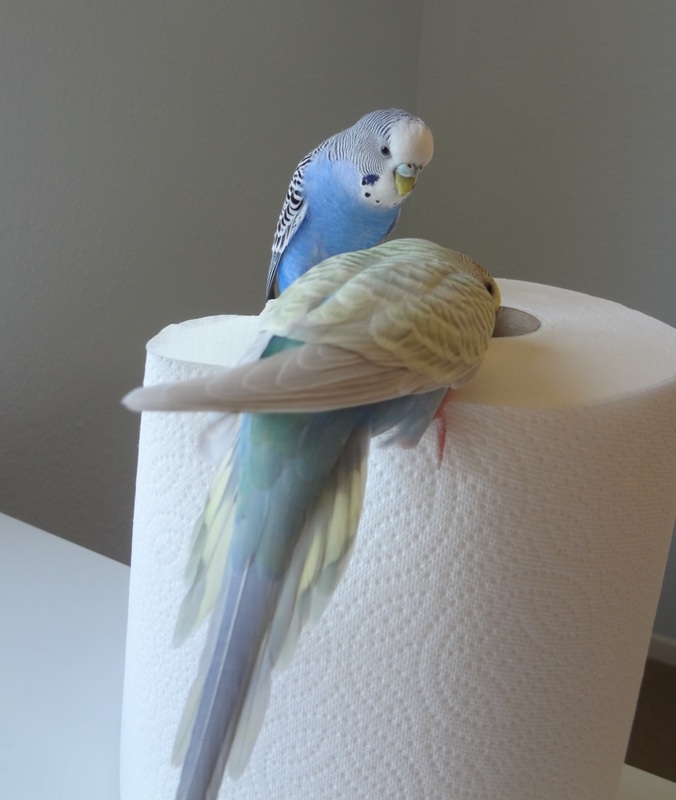 They like to investigate everything and anything! They certainly are curious little creatures. They are into everything!